A busboard designed for the A500 and A1000. A connector is inserted into the side expansion port and ribbon cables attach to the busboard. 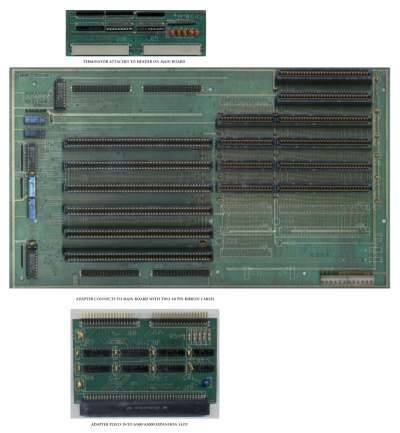 The expansion connector and the terminator can be fitted at either ends of the board because the side expansion slots on the A1000 and A500 are on opposite sides. The board is designed to be mounted in an additional AT sized case, and utilise its power supply.